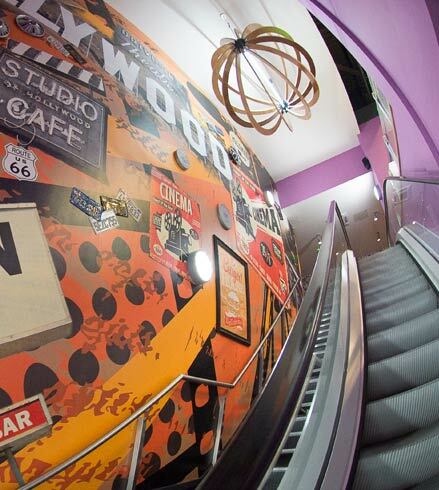 This Hollywood Bowl design involved bringing life to a first floor site in “The Brewery”, Cheltenham. 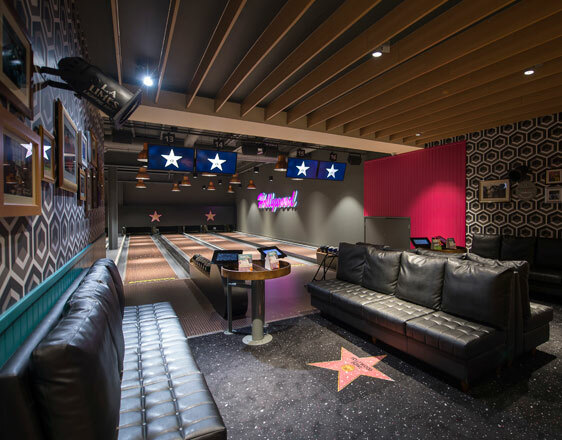 The original site was not designed for bowling so GIA had to use our technical expertise to enable the project to develop. The shape of the building necessitated ingenious solutions to help configure a premier bowling centre. 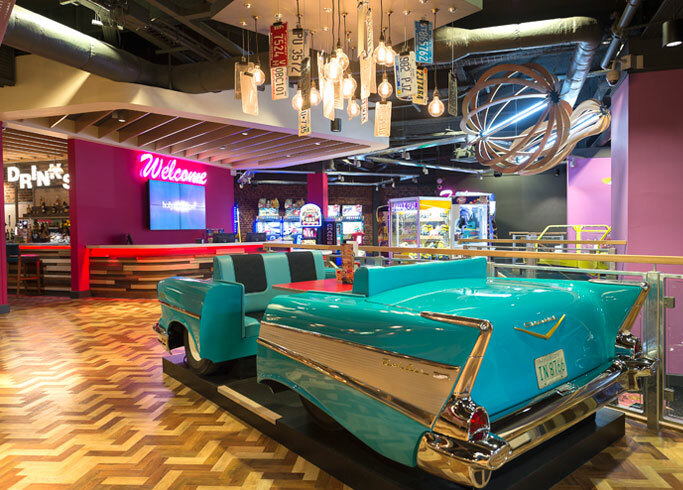 We combined bowling, food, drink, pool and amusements in this bowling centre design to create an atmospheric and unique environment. A steel column structure had to be moved to provide uninterrupted straight passages for the bowling lanes to pass through. The voids under the lanes were used as routes for services and acoustic insulation. Lanes were shortened and an over ball return system was used to ensure the new steel structure could lie under the lanes. This maximises the use of the space and adds a sense of theatre as the bowls return up the gutters. Lighting was designed to create an interesting and sophisticated feel. The combinations of the bespoke finishes created distinct areas. 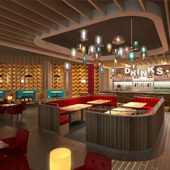 The hospitality area benefits from different types of seating which can accommodate anything from couples to large groups enjoying a meal or drink together. 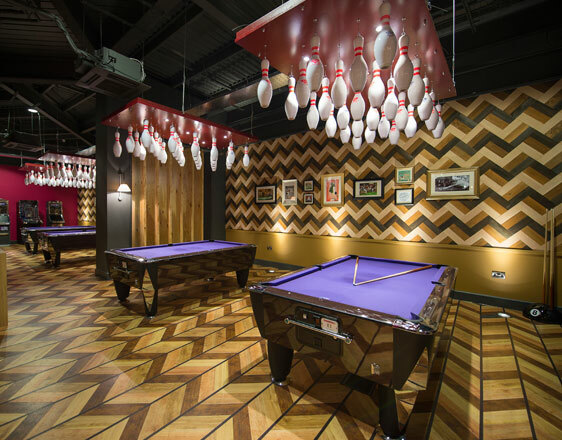 We took our inspiration from Americana and the industrial nature of the existing building, custom designed flooring and wall finishes fit with this unusual setting and create talking points. 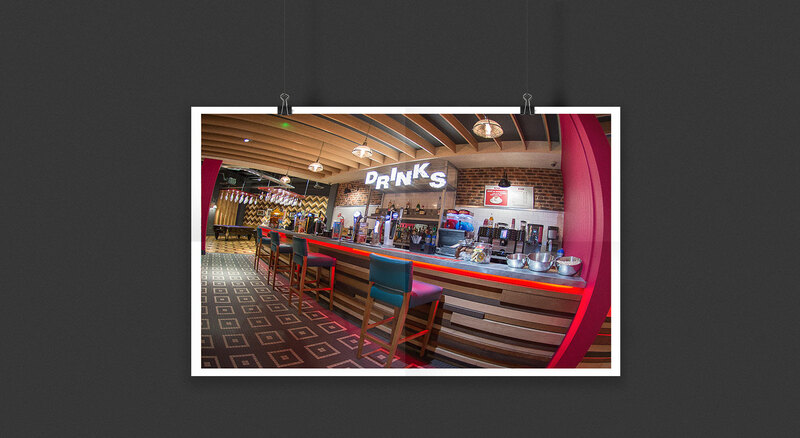 Bespoke lighting, bric-a-brac and American Retro signage reinforced the theme whilst reclaimed timber added a natural feel. The result masks the specialised solutions provided by the team to make this possible. It is more than just design; it is underpinned by good technical ability. The team at GIA has played a key role in the rejuvenation of our tenpin bowling estate. Their designs bring a new lease of life to tired interiors and promote a corporate identity that is high quality, vibrant, and fun. From feasibility to the opening night, GIA have helped ensure the success of new sites with an enthusiasm and creativity that is hard to beat.